(CNN) - President Donald Trump claimed Wednesday at an Ohio rally that wind turbines significantly decrease property value. "Put the windmills up and watch the value of your house, if you're in sight of a windmill, watch the value of your house go down by 65%," he told the audience. Facts First: While some properties can see a decrease in value when turbines are planned and constructed nearby, several major academic studies found no statistically significant decrease in the average property value due to wind turbines in the US. A 2016 study published in the Journal of Real Estate Research analyzed "more than 122,000 home sales, between 1998 and 2012, that occurred near (within 10 miles) 41 turbines in densely populated Massachusetts communities." The study found "no unique impact on the rate of home sales near wind turbines." The study did find a negative impact on property values near things such as major roads and electricity transmission lines, Ben Hoen, one of the authors of the study and a researcher at the Lawrence Berkeley National Laboratory, told CNN. 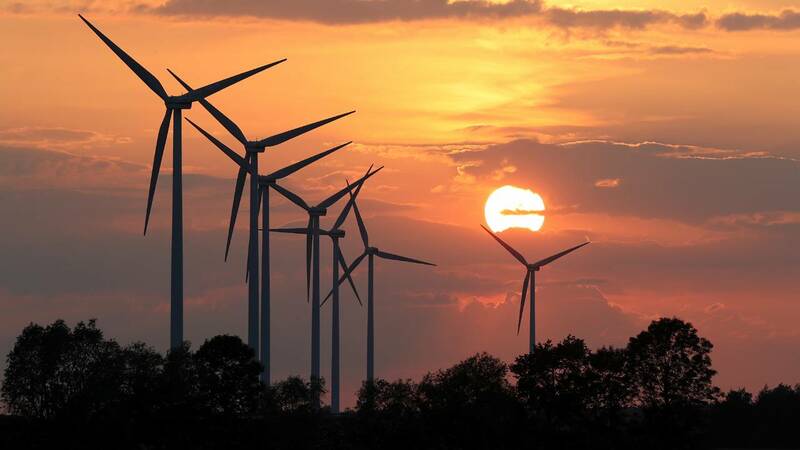 Hoen and his colleagues also found that a "majority of those living within a half a mile (from wind turbines) do not believe their property value has been inversely impacted," he told CNN. This is not to say that individuals cannot or do not see a decrease in property value due to wind turbines -- in fact, many real estate groups have found this to be true in the local areas they service. For example, one early draft of a study from researchers at the Economics and Financial Studies School of Business Clarkson University found that having a wind turbine on a parcel of land might decrease the value by 65%. However, the study's sample size had only three parcels of land with turbines on them at the time they were sold. The 65% figure "thus may be spurious," the study says. "There have been individual homes that have been adversely impacted by wind turbines," said Hoen, noting the difference between individual homes and looking at the overall average. A study from the Department of Environmental and Natural Resource Economics at the University of Rhode Island reviewed over 48,000 single family homes within a 5-mile radius of a wind turbine site, as well as over 3,000 in a 1-mile radius. The study found "no statistically significant negative impacts on house prices" from the turbines. It also found that the negative impact on housing prices could, at most, reach 5.2% -- a far cry from Trump's 65% figure. "Undoubtedly, if there was evidence for this 65% we would have found it," Hoen told CNN. In the UK and Europe, the story is a little different. Studies from the London School of Economics and the German think tank RWI Essen found that wind turbines can negatively impact the average property value. In 2013, research from the London School of Economics found a price reduction of 5-6% "for housing with a visible wind farm of average size (11 turbines) within" 1.24 miles. This reduction fell the farther away houses were from the wind farm, coming to less than 1% at "the limit of likely visibility." RWI Essen found that wind turbines can decrease the property value of single-family homes by 7.1% if they're built 0.6 mile away, but as the distance from the wind turbine increases the effect decreases. A January press release on the study says that when the home's distance from the turbine is increased to 4.97 miles, there is no measurable negative impact on the value. The highest decrease in property value due to wind turbines, the study found, was for long-settled rural areas where the loss could reach 23% for houses within 0.6 mile of the turbine. Why the difference between the US and Europe? Some experts have theorized that the more mobile model of US property might play a factor, as well as the compensation. Developers provide US land owners and the surrounding community with rent, neighbor compensation and taxes that funnel into local entities like schools. But right now, these are only theories, and more studies are needed analyzing the difference.